PHP Open Source Application Customization Solutions – Tailor Your Business Online In The Cost- Effective Manner………. These days, OSS (open source systems) is used widely in several IT- based enterprises all over the world. It is an exceptional, advanced tool used for any custom application- development process. PHP is actually a server side scripting language which is used in creating sites on various web hosts & systems. 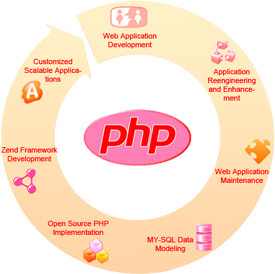 Tech Cruizers is leading portals which excel in providing best in class open source customization service using PHP. Here at Ask Online Solutions, we specialize in providing PHP Open Source Application Customization service to our clients. Our solution provides the finest way of implementing substantial modifications and that to in lesser time period. Our team of professional developers is committed to assist you in various substantial modifications effectively as well as provide complete solutions at reliable rate. Our team consists of innovative and proficient PHP developers capable of developing and creating state- of- art, exceptional solutions to meet our client’s needs. So these are some customization services provided in our PHP open source application customization solutions.